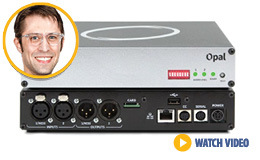 With the Comrex OPAL IP audio gateway, guests can connect to your studio by simply clicking a link. All they need to transmit HD quality audio is a mic and a common web browser. It doesn’t get any easier than that! Contact Adam (or any of our Gear Gurus) for a great price. But then again, who doesn’t like this time and money saving audio editing software? 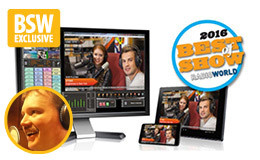 With Wheatstone’s VoxPro 7, recording, editing and airing clips over live radio has never been easier. 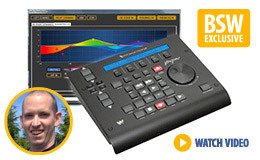 Get it with a hardware controller and license key and save $551. Only $2,599. It’s hard to beat the TASCAM CD-500B, a loaded CD player offering WAV and MP3 playback, balanced analog and digital outputs, bullet proof functionality for radio and more. 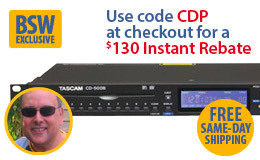 And you really can’t beat using code CDP at checkout for a $130 instant rebate. The Optimod-FM 5700i is a super-versatile FM and HD broadcast processor that gives you the clean, punchy sound of the big guys at a fraction of the price, a distinctive sound to make your station stand out from the rest. It’s in stock and ready to ship for $4,985.75. Radio is changing. Visual content has become a crucial, must-have feature in today’s world. This video for radio package from HDVMixer has the tools you need to offer high quality visual content and real-time engagement over social media (and bring you a lot more revenue). You asked, and we listened. 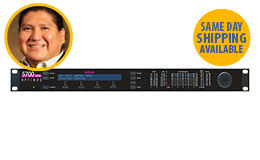 This is a complete solution for streaming linear or compressed audio over IP with very low delay. 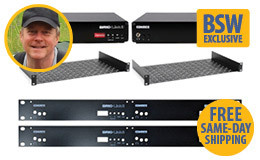 You get two Comrex BRIC-Link II codecs, a pair of blank panels to fill in the half-rack gap and two universal rack shelves for just $3,149. 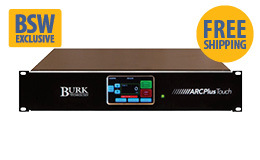 Purchase Burk’s acclaimed ARC Plus Touch remote site control system along with the RSI Recordable Speech Interface and get FREE AutoPilot monitoring/logging software, Jet Active Flowcharts software and SNMP-PLUS Manager software ($1,485 value). Get FREE 5-band audio processing ($1,450 value) and a 5-year extended warranty when you buy a select Ecreso digital FM transmitter (FULL system – 750W to 5 kW). 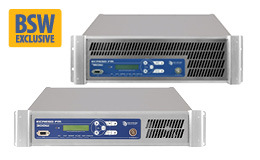 FULL systems also offer an RDS encoder, a built-in surge protector and a whole lot more.